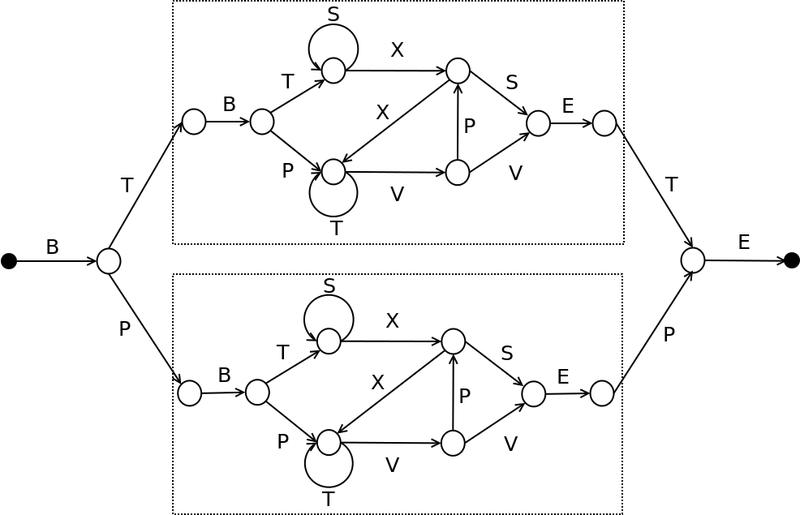 The reber grammar can be used for generating artifical data for the evaluation of recurrent neural networks. A valid string can be generated by the following automaton. Example: BTSSXXTVVE is a valid string in the grammar. Note that the second char is always the same as the second last char. This is an example of a long range dependency. 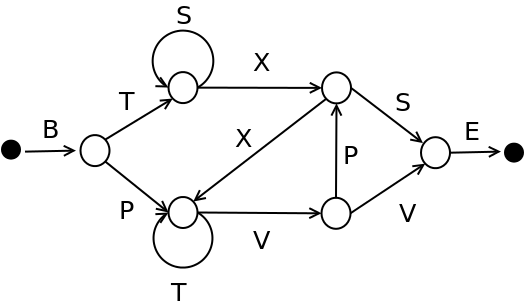 For training a recurrent network with valid reber grammar strings each char of the string (char sequence) is represented by a 7-bit Vector. The postions correspond to 'BTSXPVE', for example S is coded as 0010000. Alternatively the target could correspond to exact one of the possible outcomes. For simplicity we assume that the elements of the target vector are independent. So the output activation is a logistic function (not softmax) and the cost is the (Bernoulli) cross entropy cost. The following python code generates reber grammar data.